This post may contain references to products from our partners. We may receive compensation when you click on links to those products. For an explanation of how we make money, please visit this page. Looking to improve your quality of life? Consider moving. A new study by NerdWallet found that some U.S. cities seem to offer a better overall lifestyle than other places. We looked at income and health benefits, local economic strength, as well as work-life balance to find the best places for quality of life. We may need the help. Recent research by a Cornell University professor found greater levels of chronic stress in low-income families who live in adverse conditions, which leads to lower levels of cognitive stimulation for children in those neighborhoods. Therefore, it's clear that stress stemming from income, employment and poverty can severely affect one's well-being. Working too much can also be a great source of stress, yet a recent study revealed 41% of American workers will not use all of their paid time off this year. Income, affordability and health benefits: Income, cost of living and health insecurity can be a great source of stress, so we included median annual rent as a percentage of median earnings for full-time, year-round workers in addition to percentage of population with health insurance coverage. Local economy: We looked at the percentage of people with income below the poverty level and the local unemployment rate. Work-life balance: We included mean weekly hours worked as well as mean travel time to work to see where people work fewer hours and spend less time commuting. Of the top 10 cities, six are in the Midwest, including two each from Minnesota and Nebraska. Strong local economies and high rates of affordability helped these cities' rankings. In the top 10 cities, an average of 22.8% of income goes to rent, while rent costs take up 27.1% of the average income across all cities. 87.5% of people in the top 10 cities have health insurance coverage compared to 81.4% elsewhere in the U.S. The average unemployment rate for the top 10 places is 4.8%, lower than the nationwide rate of 6.2%. To view the full ranking of all 100 cities and download the data, click here. For more information on how affordable it is to live in each of these places, check out NerdWallet's cost of living calculator. For similar studies and more, visit NerdWallet Cities. If you're looking to improve your quality of life, consider moving to Madison. The city offers a great work-life balance, high affordability and health insurance coverage rates, and a low unemployment rate. At the center of the city lies the largest public university in the state, the University of Wisconsin-Madison, which focuses on "improving the quality of life for all" in its mission statement. Lincoln offers a low cost of living (just 20.6% of the average income goes to rent, which is lower than the country's 27.1% average) as well as one of the lowest unemployment rates of any metropolitan city in the U.S. This city is also home to the largest university in the state, the University of Nebraska-Lincoln, which contributes to the local workforce and strengthens the local economy. Workers in Minneapolis enjoy a healthy work-life balance, a relatively low cost of living and high rates of health coverage. The city also boasts a vibrant culture with a strong arts scene: Minneapolis is home to the second-highest number of live theaters per capita in the U.S. after New York City. The University of Minnesota, one of the largest public universities in the nation, is located in Minneapolis, which helps boost the local economy. St. Paul offers the same attractive qualities to workers as Minneapolis, its twin city, scoring especially highly in the income, affordability and health insurance coverage factors. Outside of the office, people here can enjoy many cultural and outdoor amenities, including performing arts centers, parks and more. The city also boasts 26 miles of Mississippi riverfront, the most of any city on the river. Workers in Omaha enjoy a work-life balance with a relatively low number of average weekly hours worked and short commutes. The major industries in Omaha include service, trade, transportation and finance. Local universities such as the University of Nebraska Omaha and Creighton University also help contribute to the low unemployment rate in the region. Lexington boasts a lower mean number of weekly hours worked and average commute times to go with its relatively low poverty rate. The top employer in the city is also the largest college in the state, the University of Kentucky. If your commute to work stresses you out, Lubbock might be the place for you. The average travel time to work is just 15.5 minutes, the lowest of all 100 cities studied. Texas Tech University is located in Lubbock, and in addition to contributing to the local workforce with its graduates, the college also is the largest employer in the region. People in Fort Wayne enjoy a great deal of affordability: only 19% of residents' paychecks go to rent, which is the lowest of all 100 cities. Residents can use their time away from work to enjoy the city's many cultural attractions — from its museums to annual events like the Three Rivers Festival every summer. Located in the southeast region of the San Francisco Bay Area, Fremont is home to the lowest rate of poverty of all of our 100 cities — only 6.7% of residents earn an income below the poverty level. Major employers in the city include the Fremont Unified School District, Tesla and Western Digital. Fremont is also home to Ohlone College as well as an extension campus of the University of California-Berkeley. 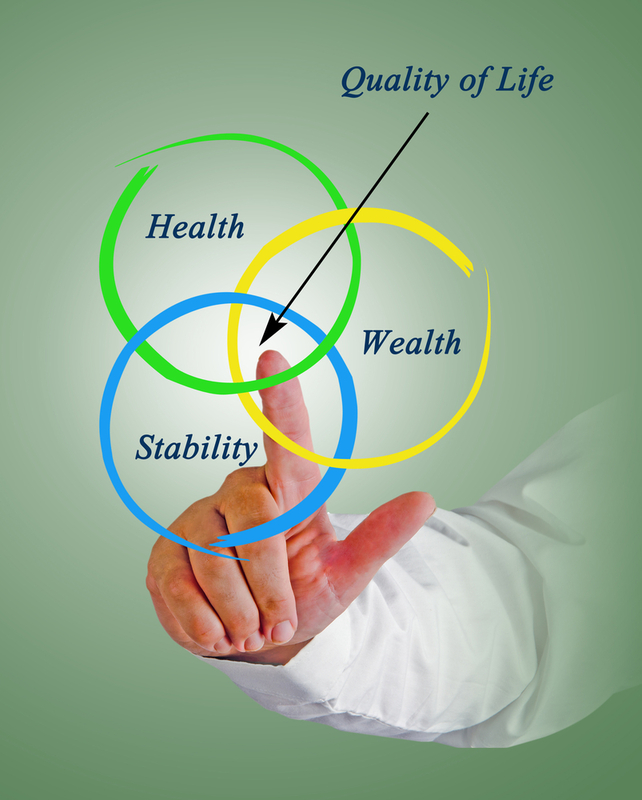 Quality of life image via Shutterstock.